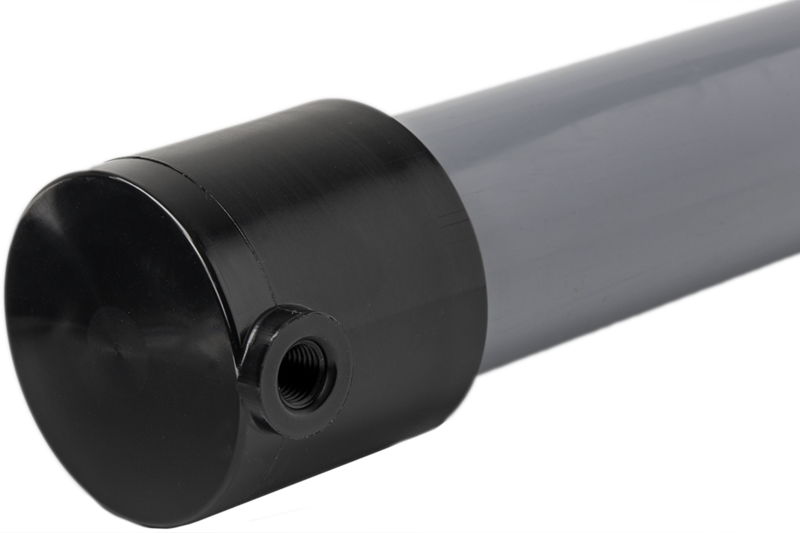 Pentair developed a new product line of customizable OEM Membrane Air Dryers to meet the demand for extra robust protection against condensation in compressed air systems. Suitable for a range of applications, the OEM air dryers feature membranes with extra high resistance against the challenging conditions created by piston air compressors and pressure cycling. 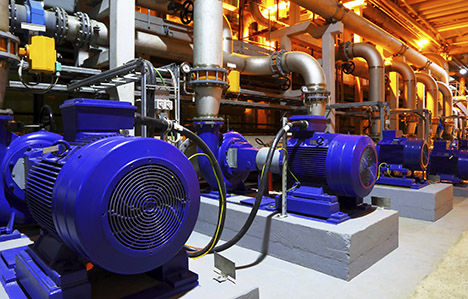 Compressor systems need clean, dry air. OEM membrane air dryer model with visible fibers. When air is compressed, the water vapor naturally present in the air can easily condense into liquid water, even at moderate ambient temperatures. In order to prevent this and protect your equipment and process integrity, the OEM Membrane Air Dryer removes moisture from compressed air streams. Available in a range of sizes and customizable to fit into any system, it has no moving parts and needs no electricity. Pentair designed the customizable OEM Membrane Air Dryer to deliver the required dew point suppression for applications down to -20°C (outlet dew point). 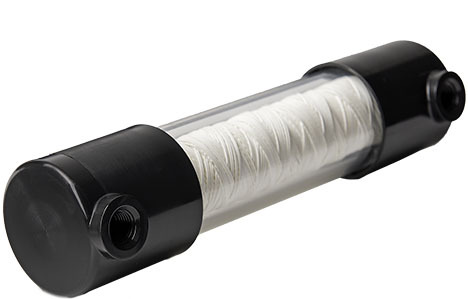 The membrane fibers guarantee many years of dependable performance, even after contact with liquid water, and even after hundreds of thousands of cycles in pressure cycling applications with piston air compressor systems. OEM Membrane Air Dryers apply state-of-the-art membrane technology for dependable and consistent performance in applications with high pressure cycling (frequent on/off cycles) and the vibrations caused by piston air compressors. As the moist air enters the membrane air dryer, the water diffuses through the membrane wall and collects on the outside of the fibers. Dry purge air then sweeps away the moisture and exhausts it to the atmosphere as a humid air stream. Designed for flow rates under 400 slpm, the OEM Membrane Air Dryers deliver dry compressed air without requiring any floor space, desiccants or refrigerants. It was built to cost less than a twin tower desiccant dryer, allowing the OEM to increase profit margins without having to worry about warranty claims. The patented arrangement of the hollow fibers in the membrane delivers maximum drying capacity and maximum resistance to physical stress in a compact unit.